The Italian band KLOGR, formed in 2011, has recently released the EP / live album “Make Your Stand” in a few days: the 13th of May. Fronted by vocalist/guitarist Gabriele ‘Rusty’ Rustichelli, the Alternative Rock / Metal formation released its debut album, “Till you Decay”, in 2012 and it was in that same year that I got know about them. Not only because I won the album through a competition on Facebook, but also because they participated in a competition to play at Power, Prog & Metal Fest in Mons, Belgium, and played a gig in Charleroi for that. After the EP “Till You Turn” (2013), made with the lads from TIMECUT, work was started for a second full-length. For this the band set up a crowdfunding campaign via MusicRaiser.com. That’s also how I got to expand my collection with more KLOGR music. 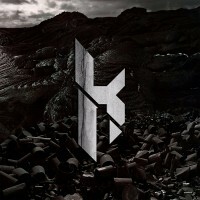 The album, “Black Snow”, showed a KLOGR that was ready to take on the world. It also led to a European tour with PRONG that same year. KLOGR isn’t one of those bands who often come to Belgium, so I had to be there. And it was great! KLOGR hasn’t been free from line-up issues, as Rusty had to look for new members a few times since the founding of the band. But it seems that, since the fall of 2014, these issues should be a thing of the past. And so, a new release was ready to be born: “Make Your Stand”. It consists of three new tracks and 10 live songs, which were recorded in November 2014 at the Live Music Club in Trezzo, when the band was supporting GUANO APES. The concert was also filmed for the DVD that comes with the EP. That DVD also contains 120 minutes of documentary on the band and how each of the releases, including the new one, came to be. The tunes… “Breaking Down” kicks off instantly with shredding guitars as the center of attention. Of course, the pounding drums cannot be ignored either. All shifts smoothly into midtempo, atmospheric AltRock, while the power is restored in the second instant. Rusty’s singing has not changed: clean with a rough edge. I like how the band makes the transition to the chorus: a very brief, calm moment, followed directly by screamy and powerful music, to flow over into melodic, midtempo rocking. All this in a matter of seconds! A guitar solo was set halfway, albeit a short one and of the functional type. Rusty and co. then decide to slow down, take away the distortion and adapt the vocals. But that was only the eye of the storm, as heavier music and a proper, wah-wah solo are unleashed afterwards. And when you think that the pounding power of the beginning will put an end to it all, it’s as if the gods pulled the plug, leaving just a clean guitar lick. “Make Your Stand” doesn’t unleash its full force in the beginning. You’re given some time to prepare through the clean, melodic intro. But when the power is activated, it’s Metal, it’s Thrashy, it’s groovy. And not to mention, catchy! The settings are ideal for Rusty’s raging voice, which he balances with some clean(er) singing, especially in the chorus. Like in the previous song, there’s a clean break / bridge that precedes the furious and strong outbreak afterwards, in vein somehow of RAGE AGAINST THE MACHINE. Last but not least, “Breathing heart”. This one also starts in a clean, atmospheric way. The whole sounds more modest, including the singing (a necessary move, otherwise it would have contrasted too much to be enjoyable). Full power and melody are reserved for the chorus. The first two tracks really rocked, this one relies more on feel, on melody (and wild solos), less on crunchy, metallic guitar work. The live songs are a nice compilation of KLOGR’s back catalogue and show a band that does stand its ground on stage. “Make Your Stand” is required food for fans of the band. Anyone into Alternative Rock / Metal (and bands like ([as KLOGR puts it on their Facebook page] ALTER BRIDGE, METALLICA [the more modern version, I’d say], A PERFECT CIRLE, and so on) and not familiar with KLOGR is advised to first check out previous releases to get an idea of the band’s music.